Elephants are the largest land mammals alive today and can be found wild in Africa and Asia where they are important in a variety of ways. Standing out through pure size, inevitably elephants make a big impact both in their natural environment and with the human populations. Over-exploitation of these giant beasts historically pushed them close to extinction, so they are today protected by law in many countries. The elephant plays a number of vital roles in its ecosystem, which cannot be replicated by any other species. Elephants in dry regions are able to smell water close to the surface of the ground and use their tusks to dig small waterholes. Other animals sometimes have to rely on these water holes. 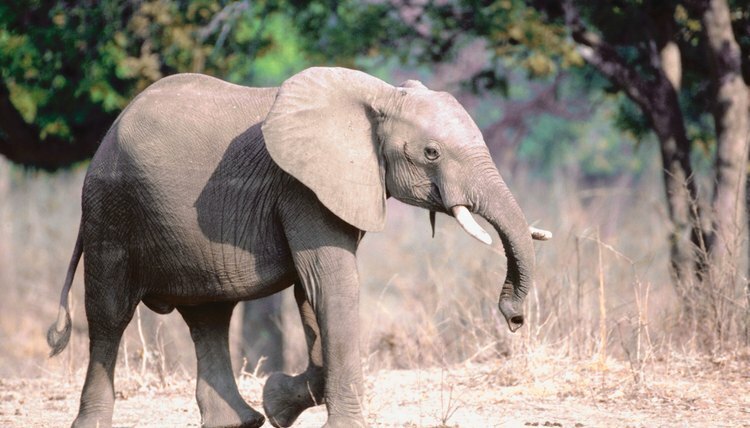 The large bodies of elephants help create trails through wooded areas that might otherwise be impassable. Elephant dung also has many natural applications, from spreading plant seeds to offering nutrition to baboons and insects. The scarab beetle actually uses large balls of elephant waste to lay their eggs inside. The awe-inspiring size of these animals has led to them being revered in religions as well. In Buddhism it is believed that the lord Buddha has many times been reincarnated as white elephants. In the Hindu religion, the god of wisdom and remover of obstacles, Ganesh, has the head of an Elephant. The head symbolizes the wisdom of an elephant and the ears are to hear everything but retain only the good that is said. Humans have been taming elephants for thousands of years and putting them to work in many ways. Until as recently as 1960, elephants were being used in war either in battle or as the ultimate beasts of burden. Indian elephants are easier to train than the African variety, and so today are still commonly put to work in many Asian countries. The power of the animals is harnessed for heavy jobs such as log hauling and forest clearance. More agile and less likely to break down than machines, in some areas elephants are more economically viable for heavy tasks. Zoos can often draw more visitors and revenue if they have elephants, a species that many may not see outside of a wildlife park. In their native countries, revenue can be made by organizing safaris to see them in the wild. The huge animals are a wonder to look at, and this can be profitable to a country's tourism.